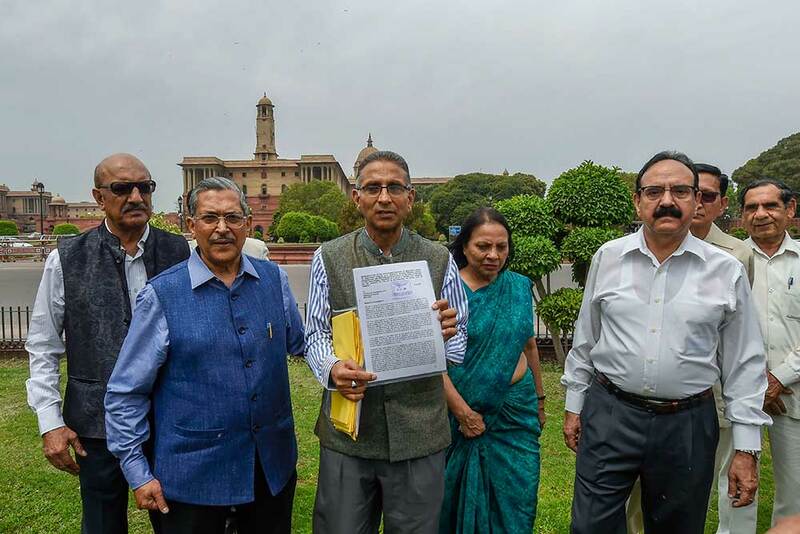 A group of bureaucrats & defence officers after submitting a representation to the President to counter the open letter sent to him by a group of retired civil servants on the conduct of the Election Commission in implementing the Model Code of Conduct, in New Delhi. 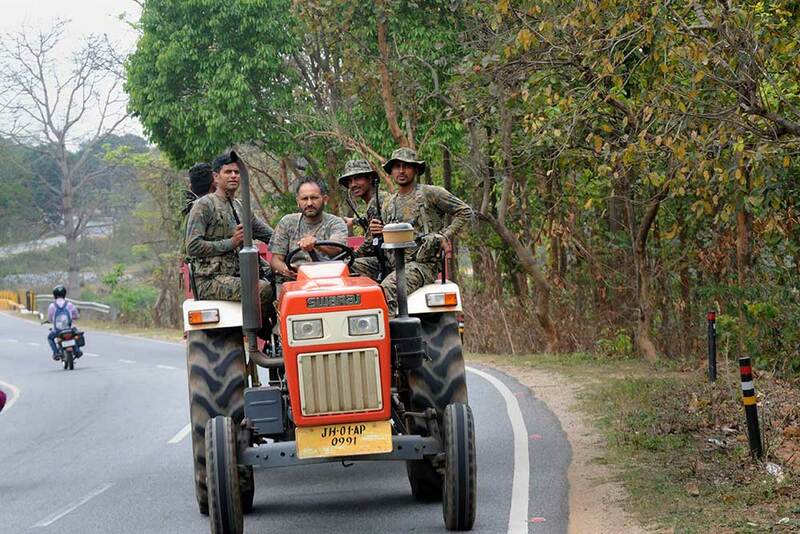 Cobra Commandos patrol on a tractor in the Maoist affected forest area of Ranchi-Khunti border, ahead of the Lok Sabha elections, in Ranchi. 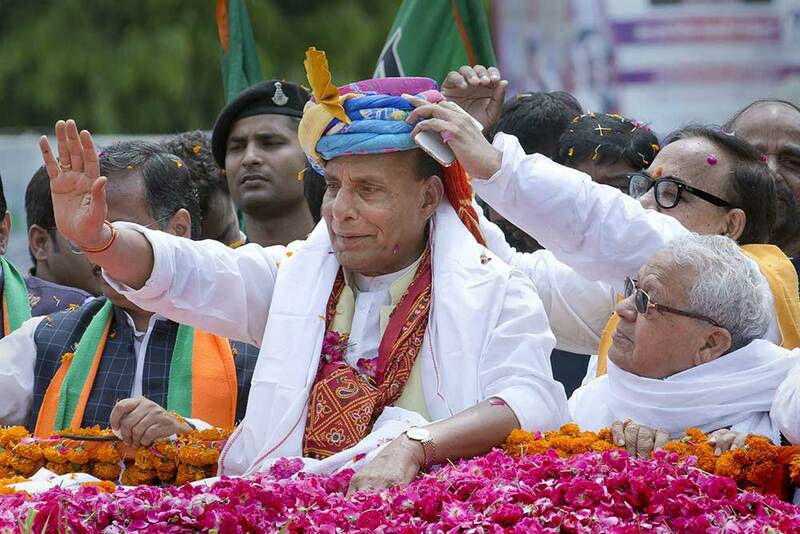 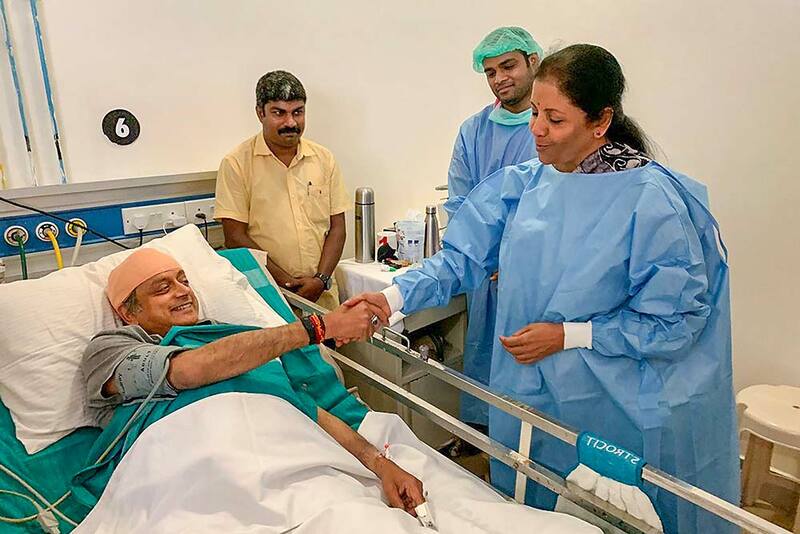 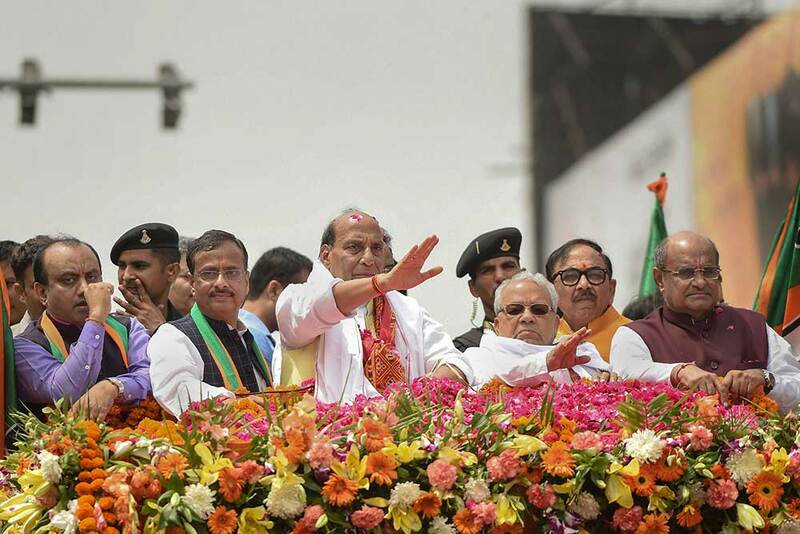 Union Home Minister and BJP leader Rajnath Singh, accompanied by UP BJP chief Mahendra Nath Pandey, senior leader Kalraj Mishra, UP Dy. 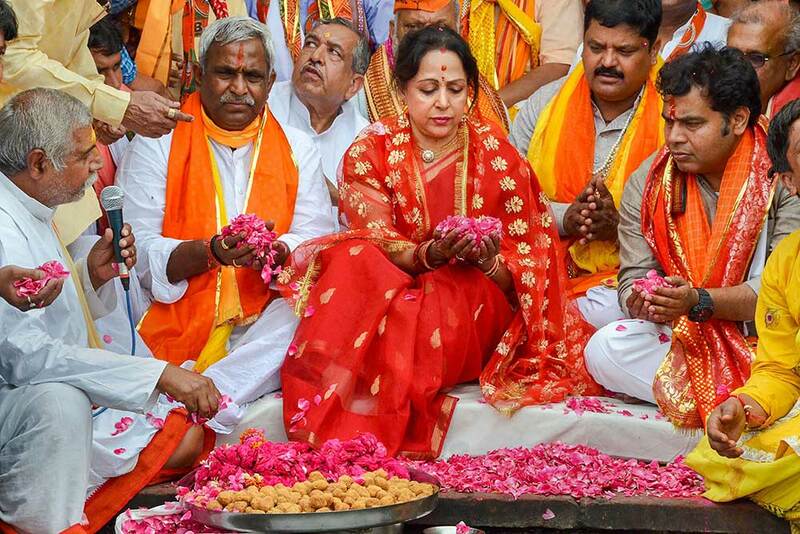 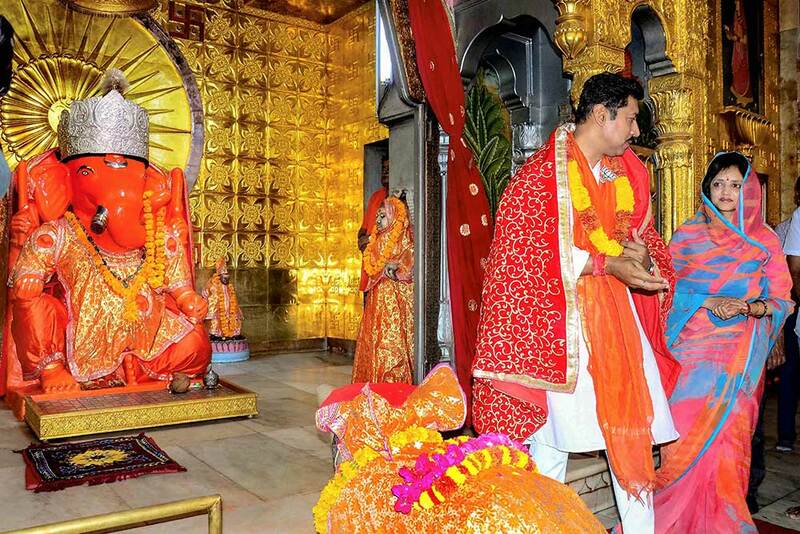 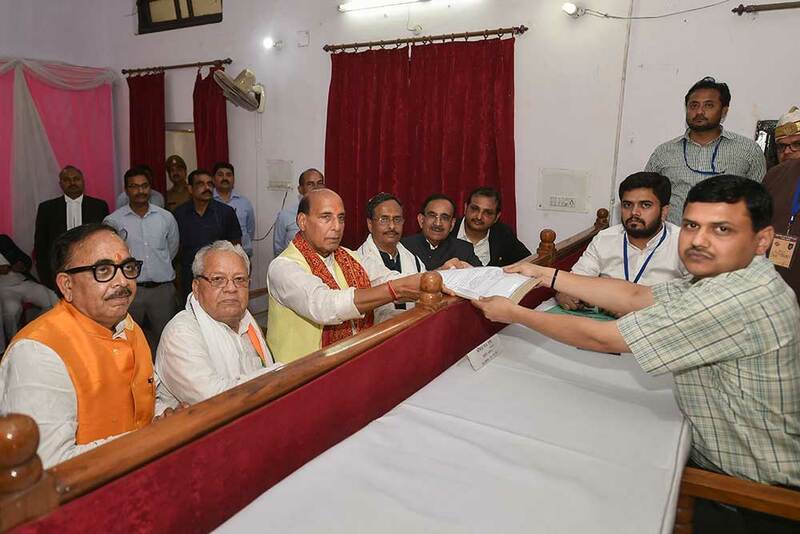 CM Dinesh Sharma and others, during a roadshow before filing his nomination papers for the Lok Sabha elections, in Lucknow. 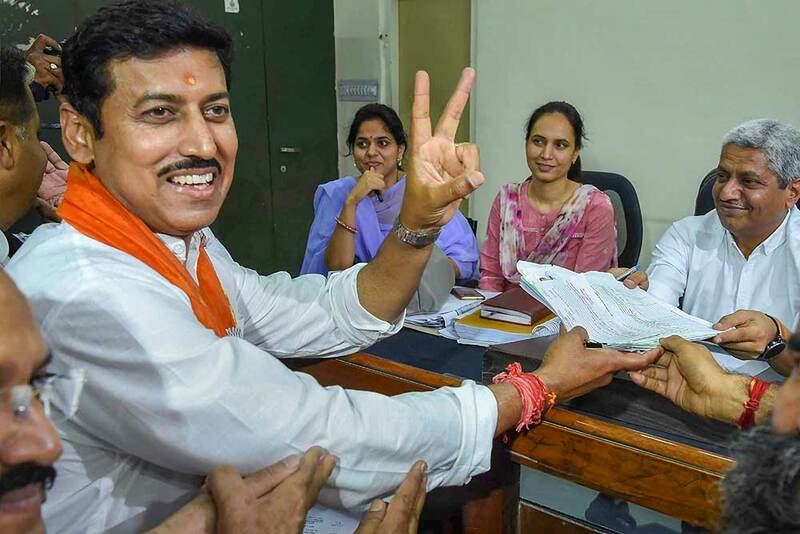 BJP candidate from Jaipur rural Rajyavardhan Singh Rathore shows the victory sign while filing nomination for the Lok Sabha polls, in Jaipur. 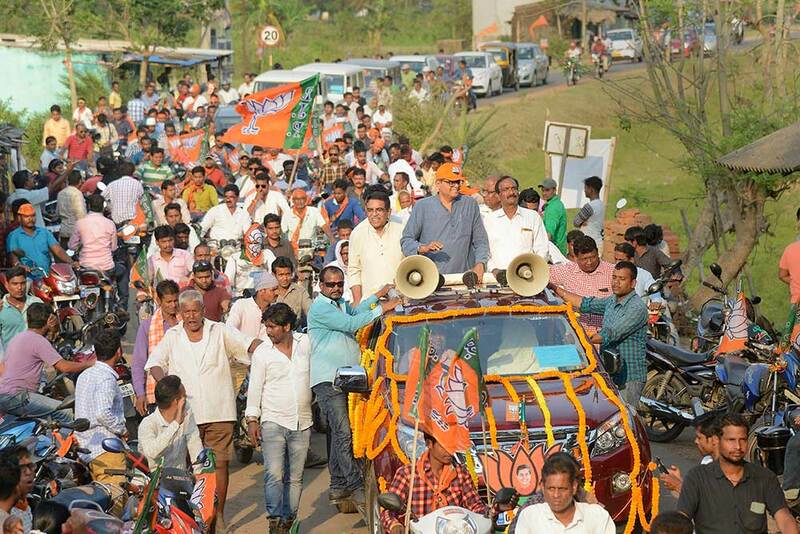 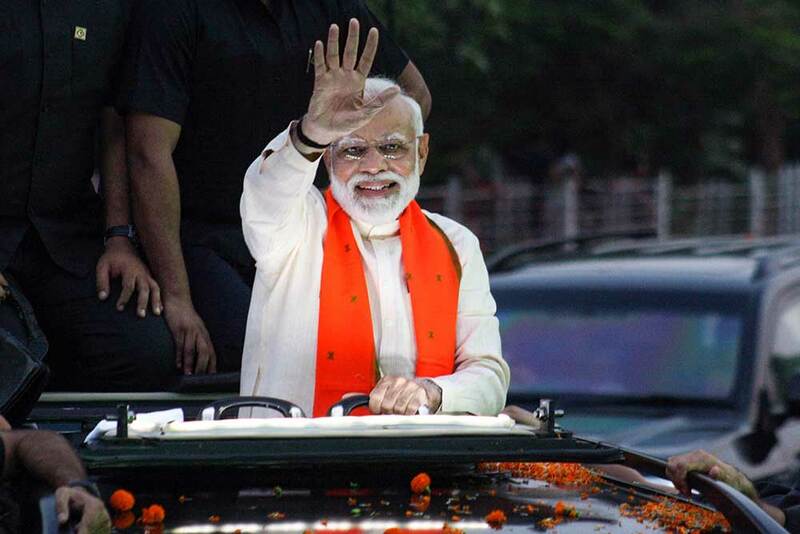 BJP parliamentary candidate Baijayant Panda waves at party workers during an election campaign roadshow for Lok Sabha polls, in Kendrapada district, Odisha. 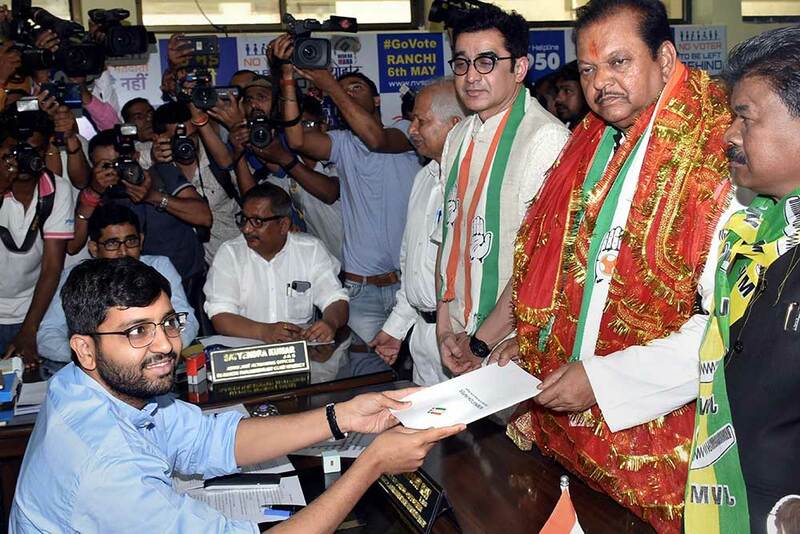 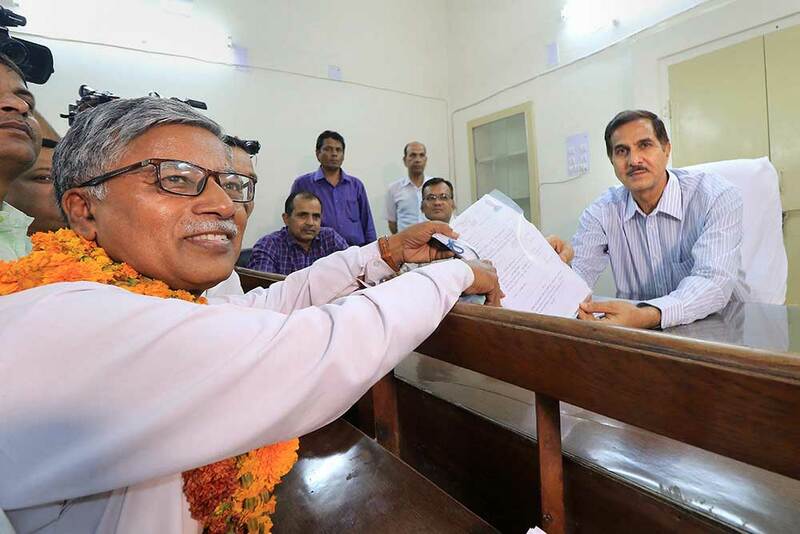 Congress candidate Subodh Kant Sahay files nomination papers for Lok Sabha polls, ahead of his elections rally, in Ranchi. 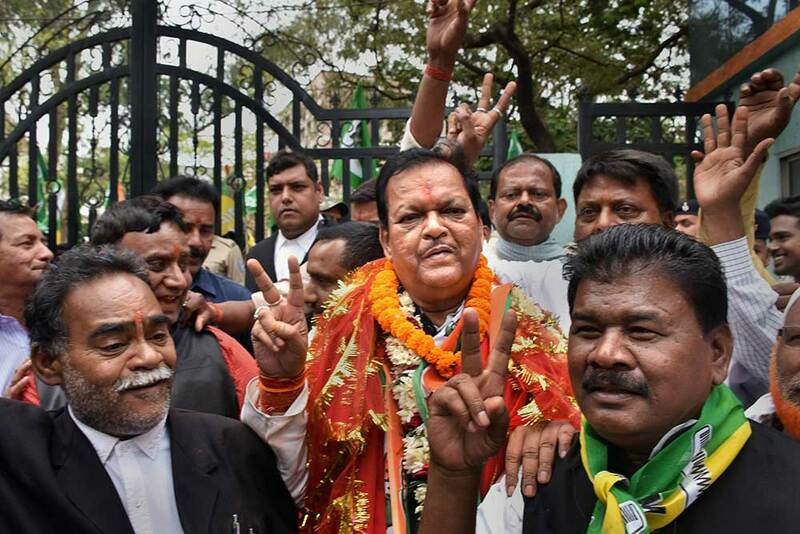 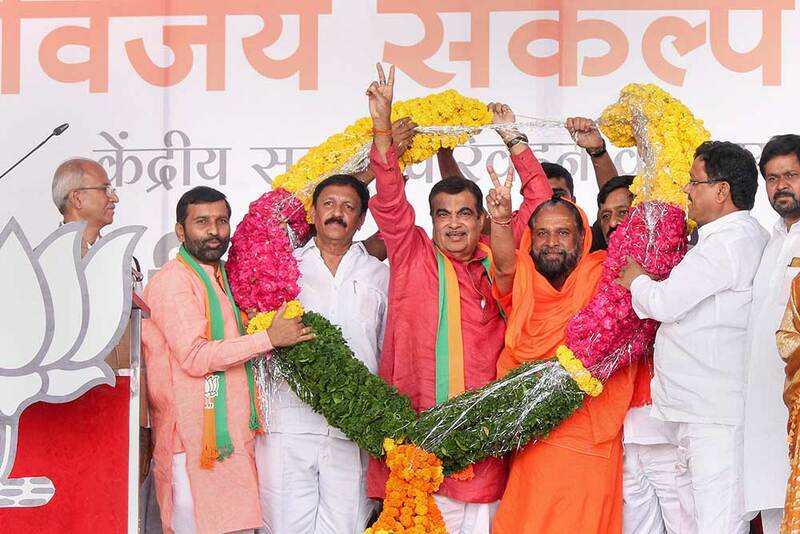 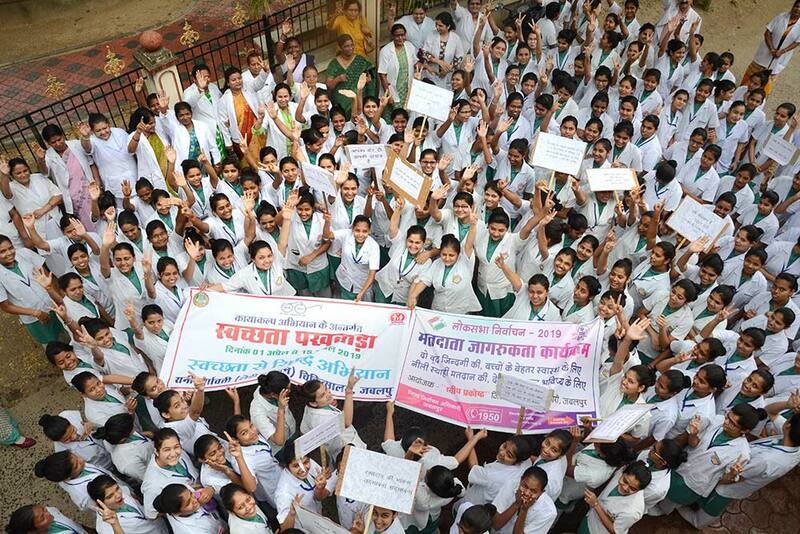 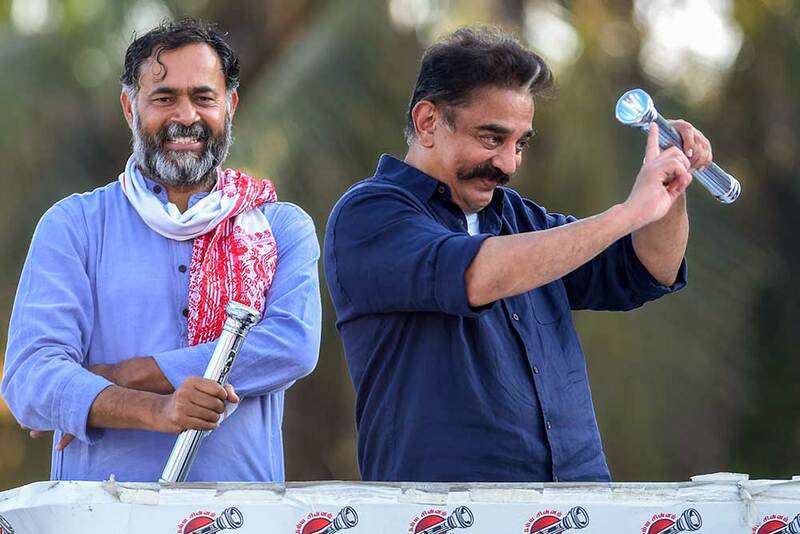 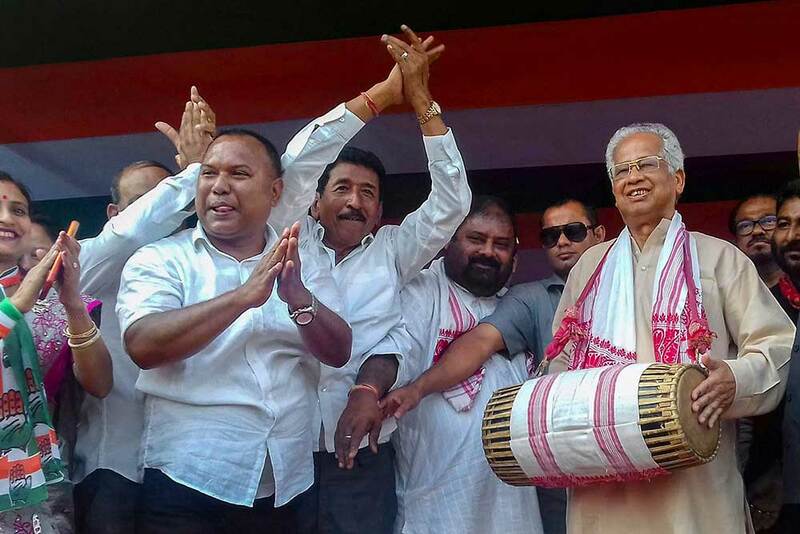 Congress candidate Subodh Kant Sahay shows the victory sign after filing nomination papers for Lok Sabha polls, ahead of his elections rally, in Ranchi. 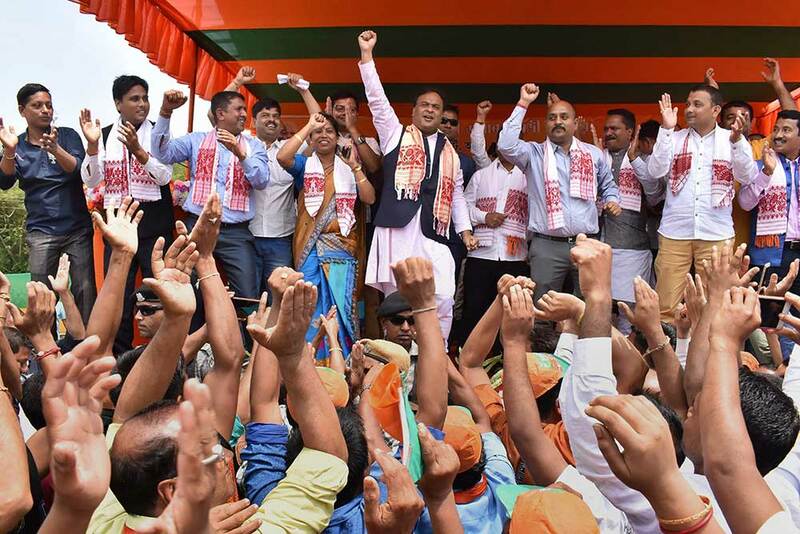 BJP leader Himanta Biswa Sarmah dances with the crowd during an election campaign rally in support of the party candidate Dilip Saikia of Mangaldoi parliamentary constituency, at Bahjani in Nalbari district of Assam. 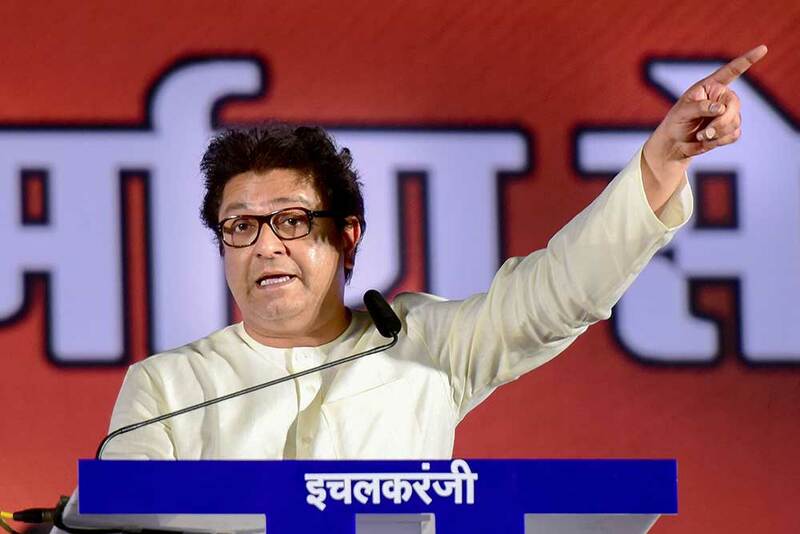 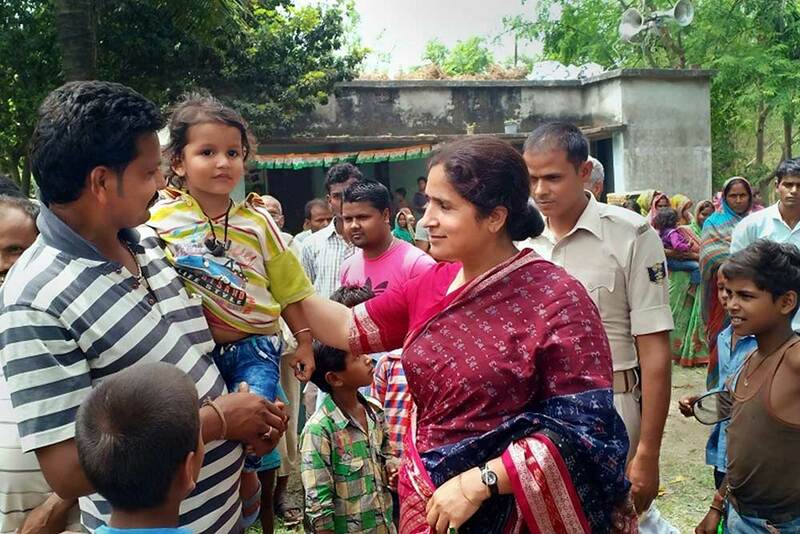 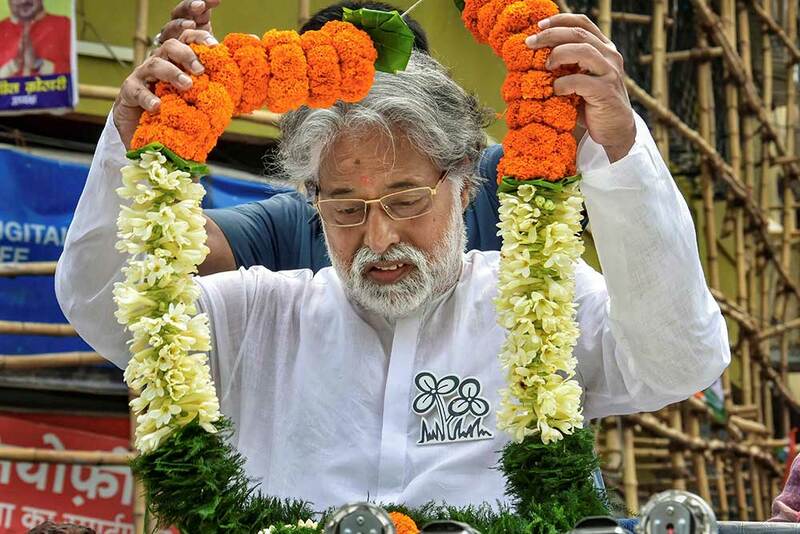 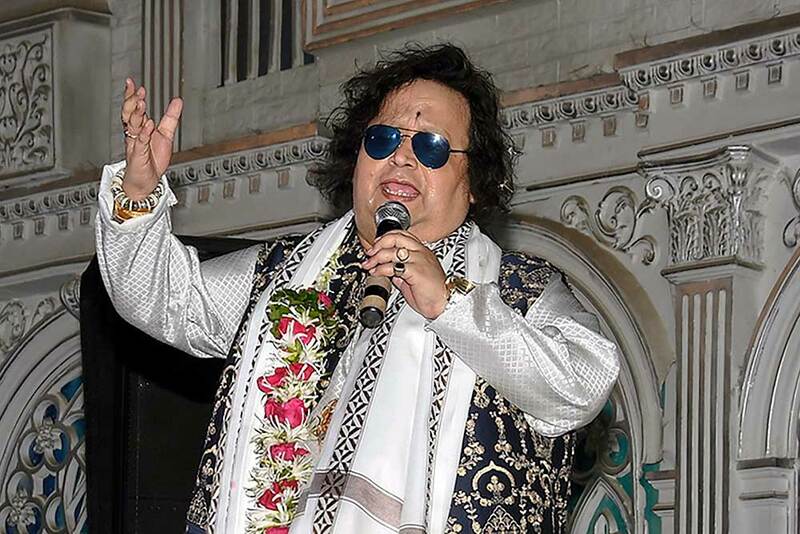 Trinamool Congress candidate for Kolkata North Parliamentary constituency, Sudip Bandyopadhyay, during his election campaign for the Lok Sabha elections, in Kolkata. 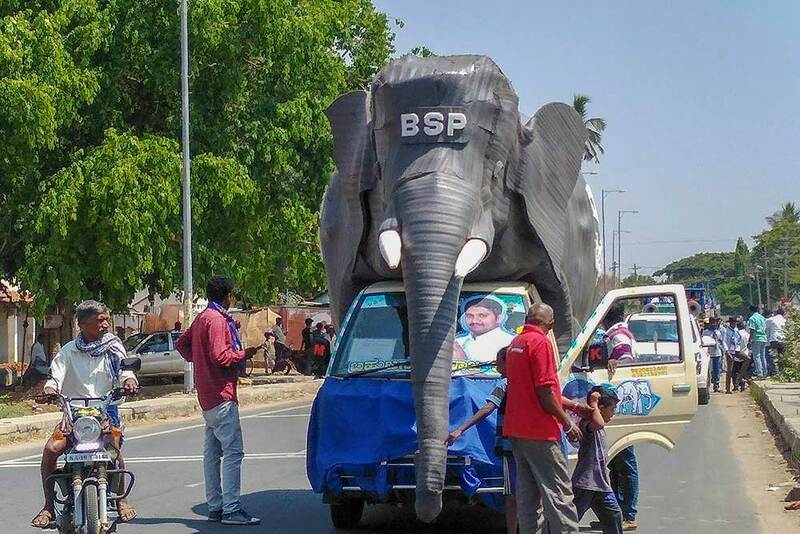 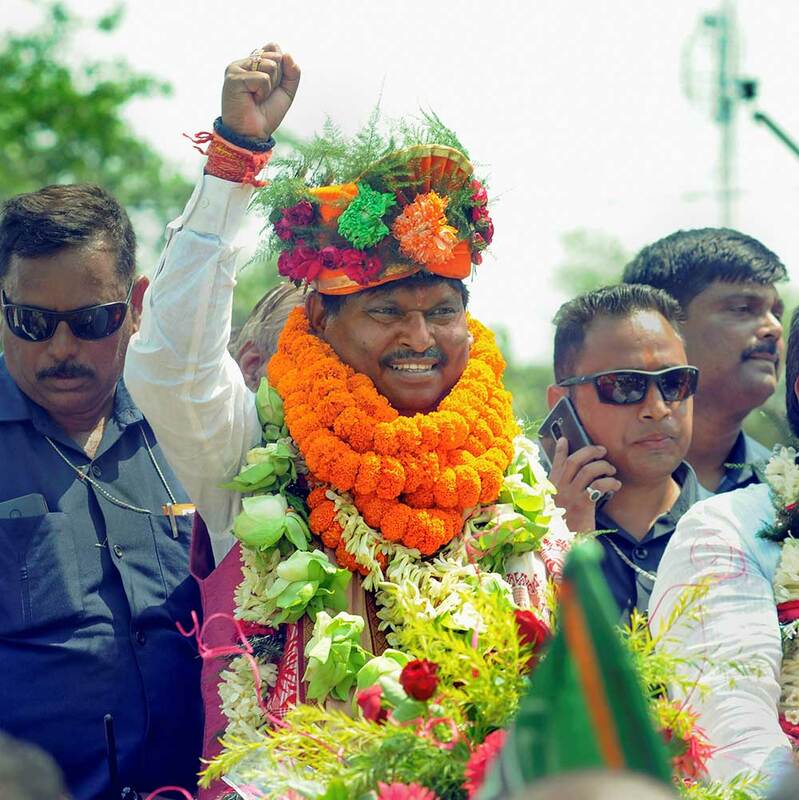 Bharatiya Janata Party (BJP) candidate Arjun Munda during a rally before filing his nomination papers for Khunti Lok Sabha seat, in Khunti district, Jharkhand. 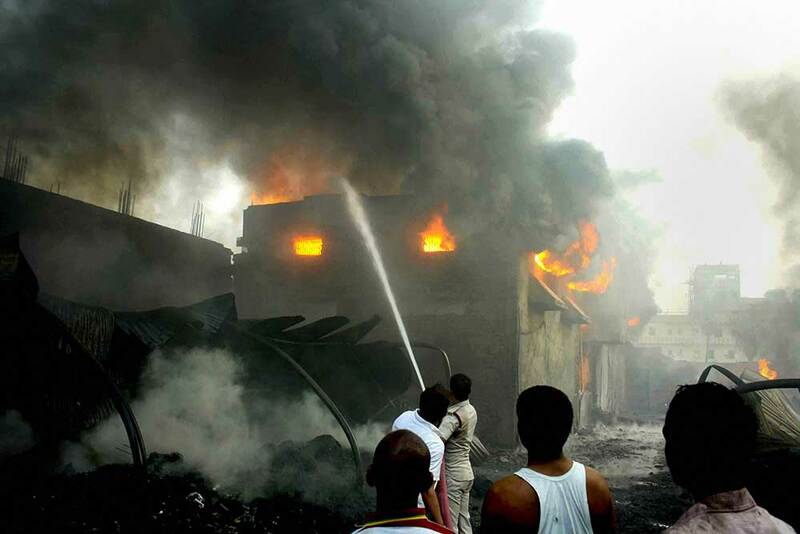 Firefighters try to douse flames after a major fire broke out in a plastic factory, in Patna. 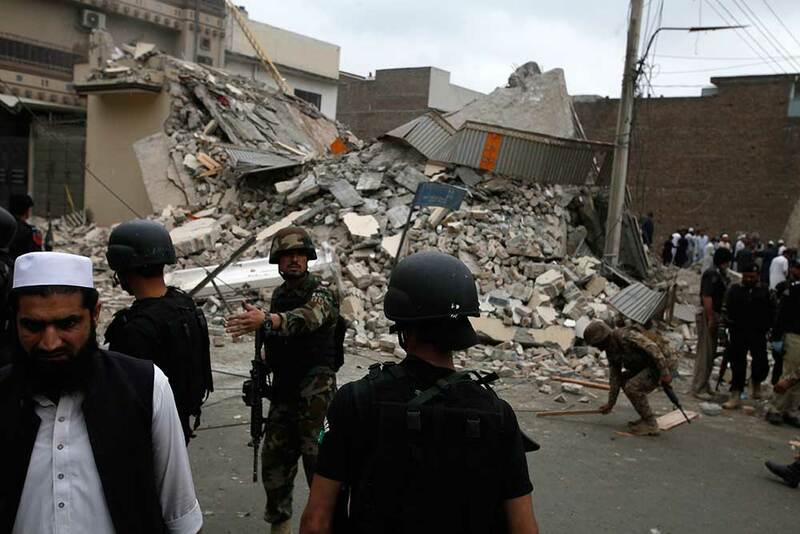 Pakistani security forces demolish the hideout of militants in Peshawar, Pakistan. 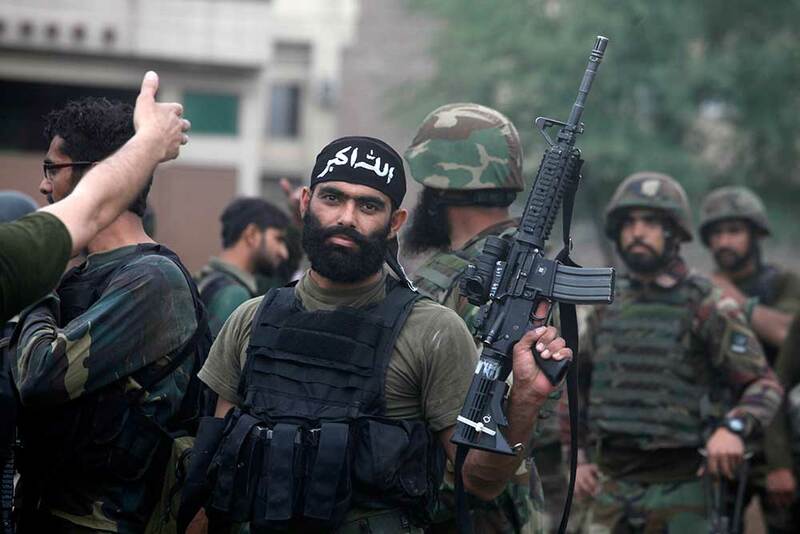 Pakistani authorities say a raid by security forces on a militant hideout in the northwestern city of Peshawar triggered a 15-hour shootout in which a police officer and many suspected militants were killed. 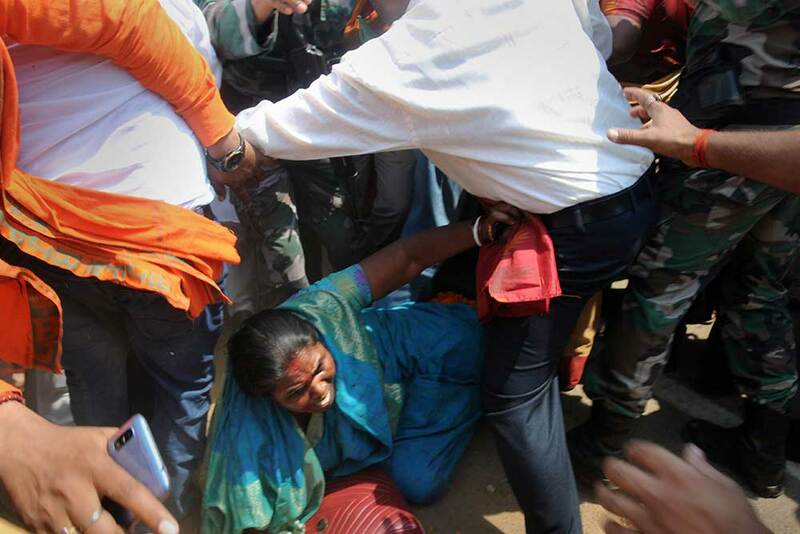 BJP MLA Maneka Sardar falls on the road during the party candidate Arjun Munda's 'Padyatra' programme after he filed his nomination papers for Khunti Lok Sabha Seat, in Khunti, Jharkhand. 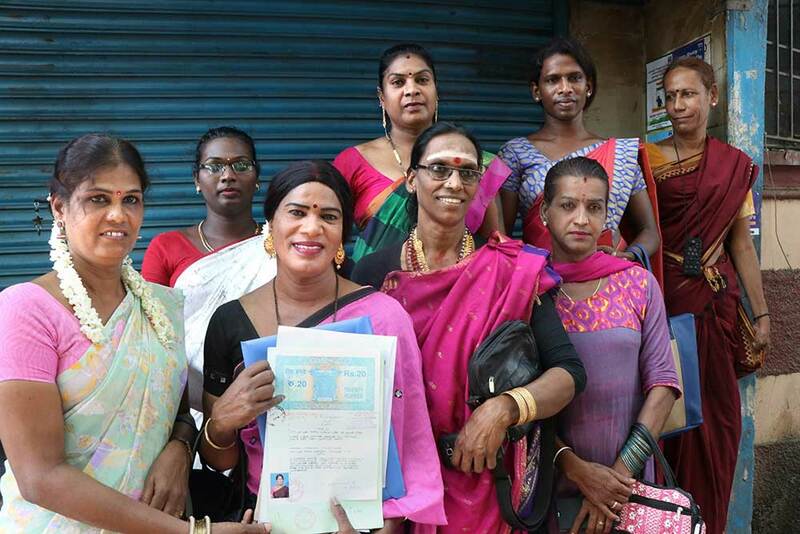 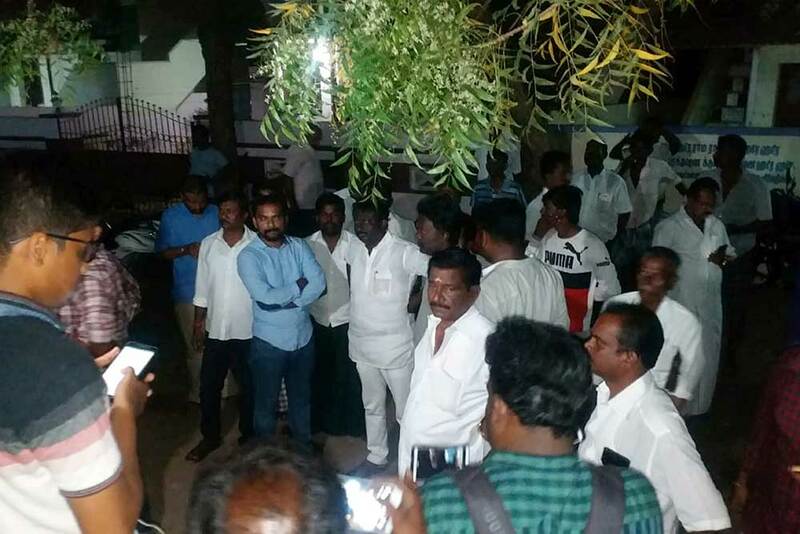 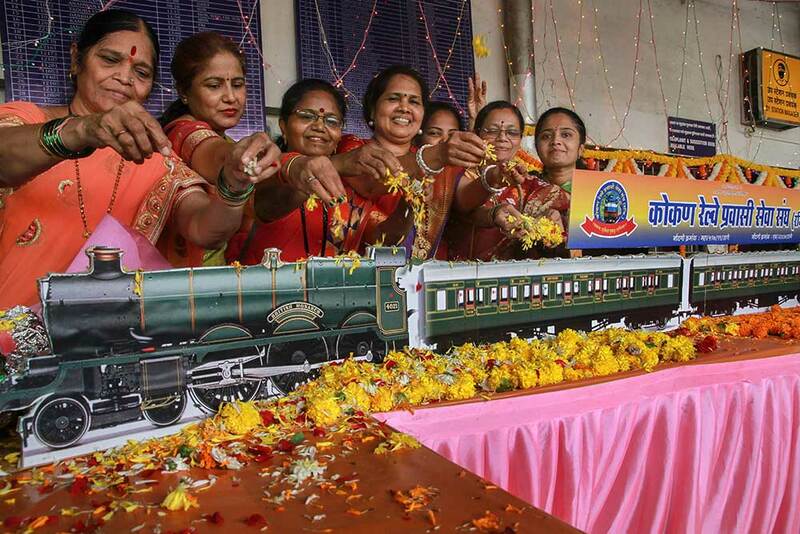 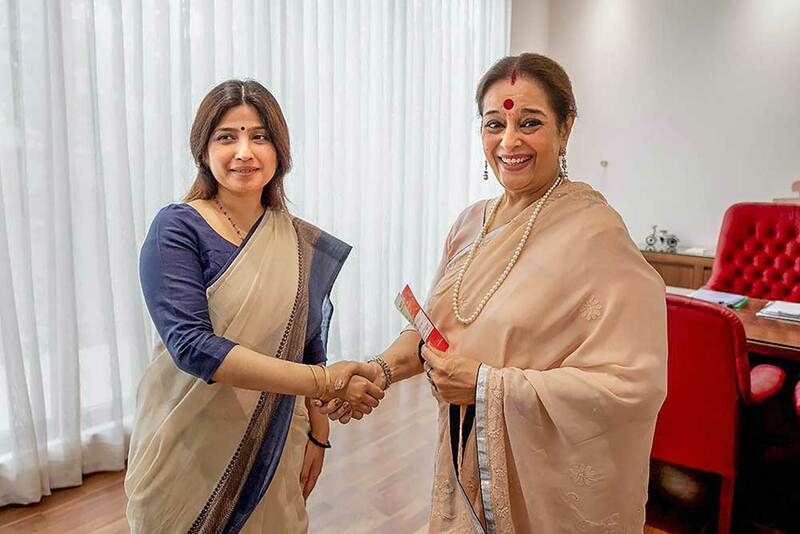 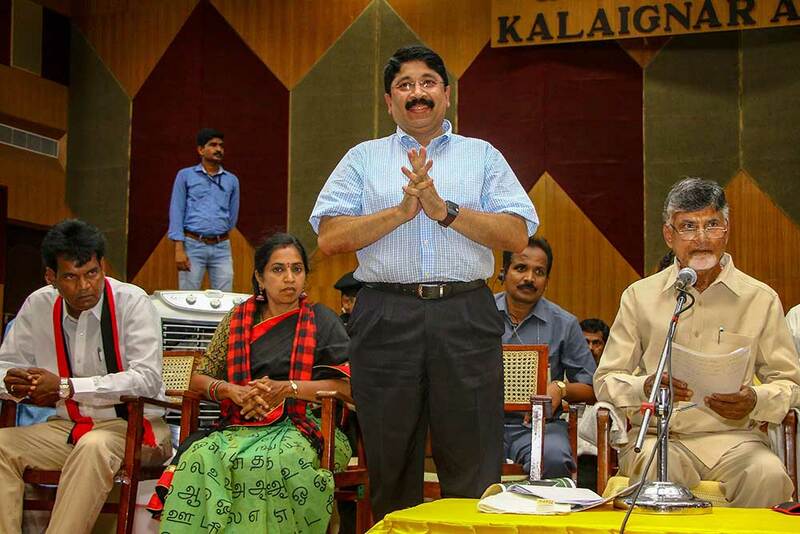 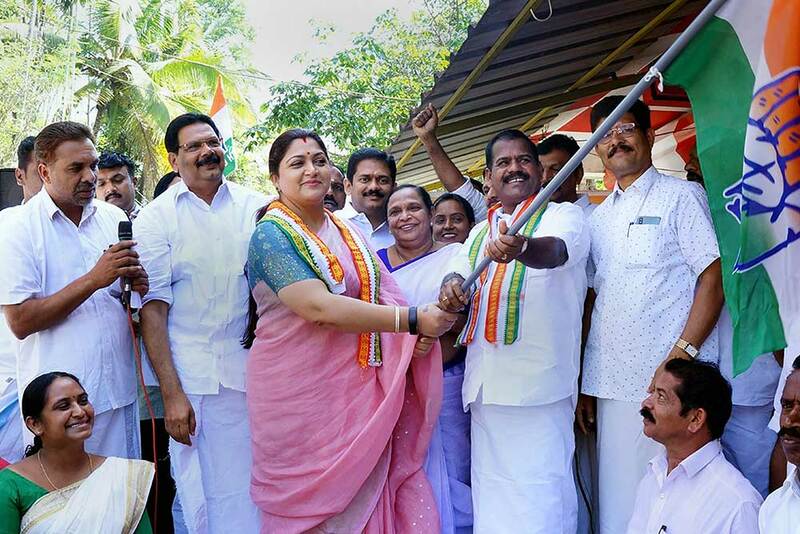 Tamil Nadu's lone transgender candidate M Radha poses with he supporters as she appeals for votes from South Chennai constituency for 2019 Lok Sabha elections, in Chennai. 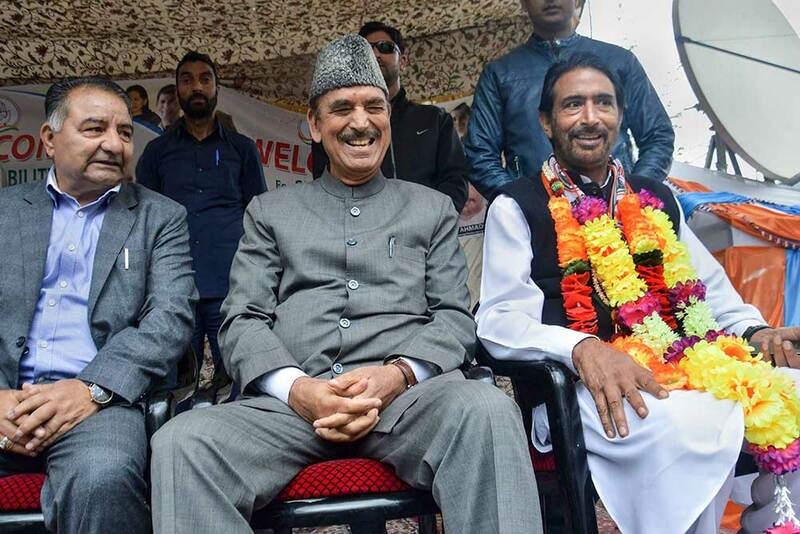 Senior Congress leader Ghulam Nabi Azad along with Anantnag parliamentary candidate & state party chief Ghulam Ahmad Mir during an election rally, in Anantnag district of south Kashmir. 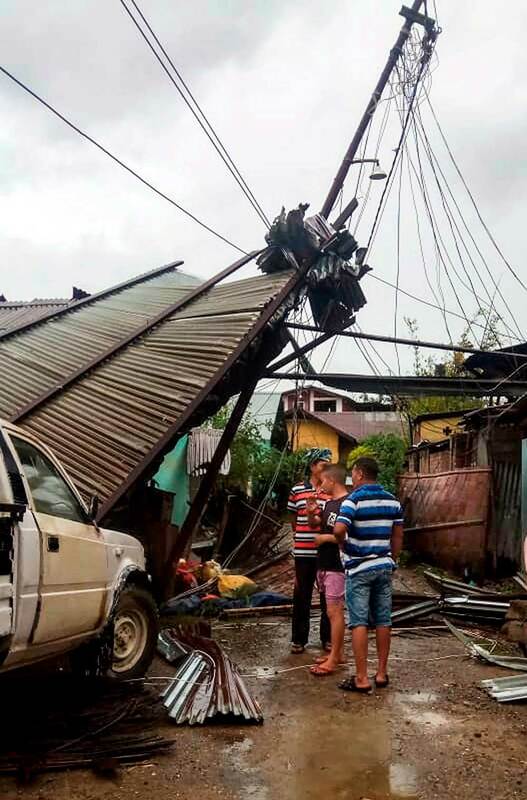 People look at the destruction caused by a thunderstorm, in Imphal. 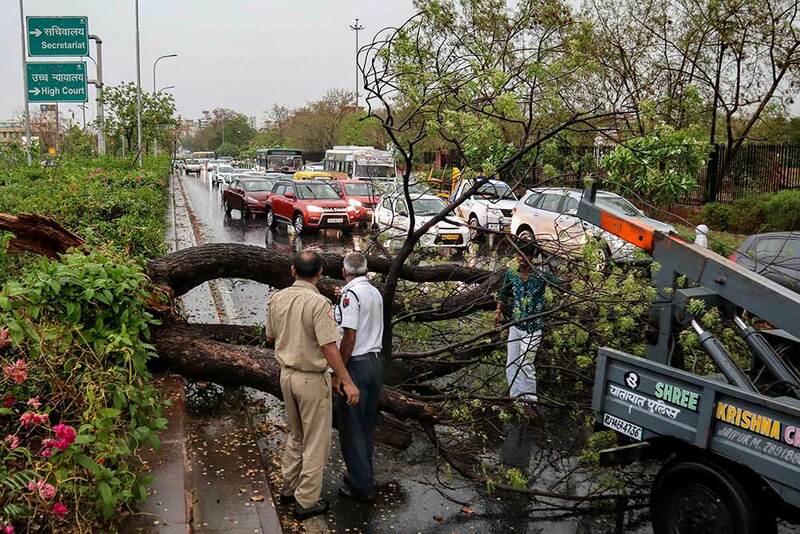 Police personnel look on as people remove a fallen tree obstructing traffic, after a thunderstorm, in Jaipur. 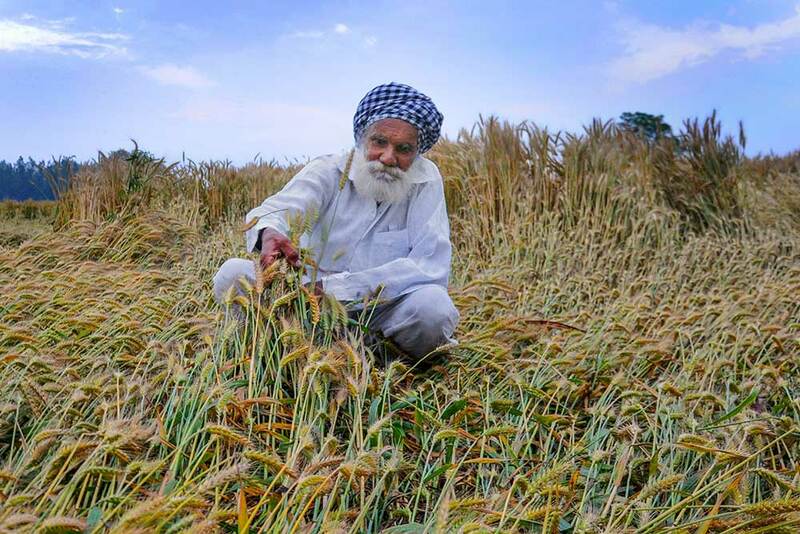 A farmer inspects his wheat crop damaged by strong winds and rains, on the outskirts of Amritsar. 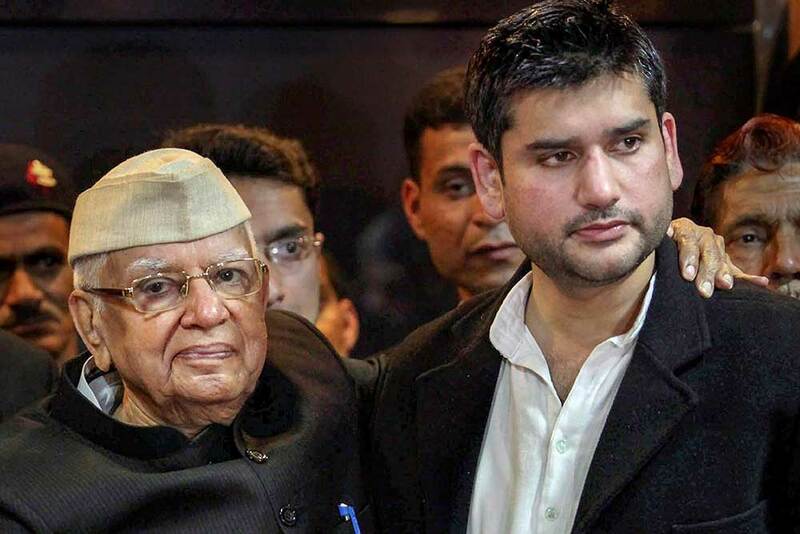 In this March 3, 2014 file photo Rohit Shekhar Tiwari is seen with his father and former Uttar Pradesh and Uttarakhand chief minister late ND Tiwari, at a press conference in New Delhi. 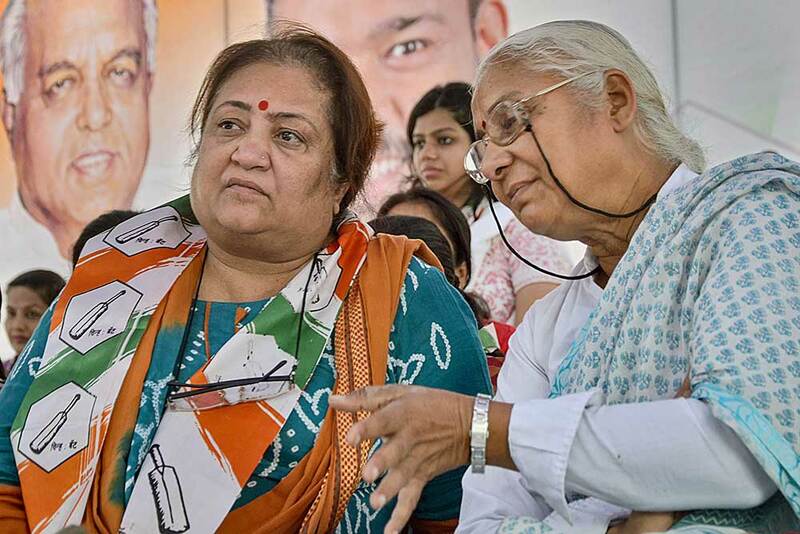 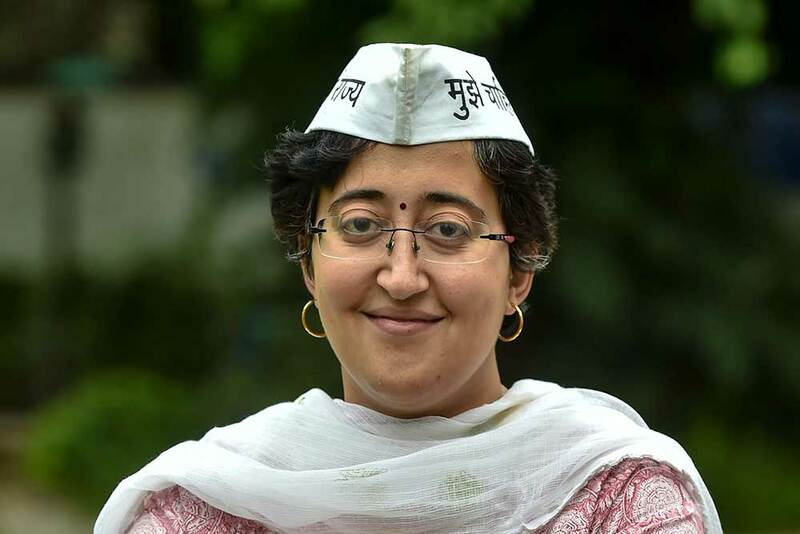 Rohit Shekhar died of heart attack in New Delhi. 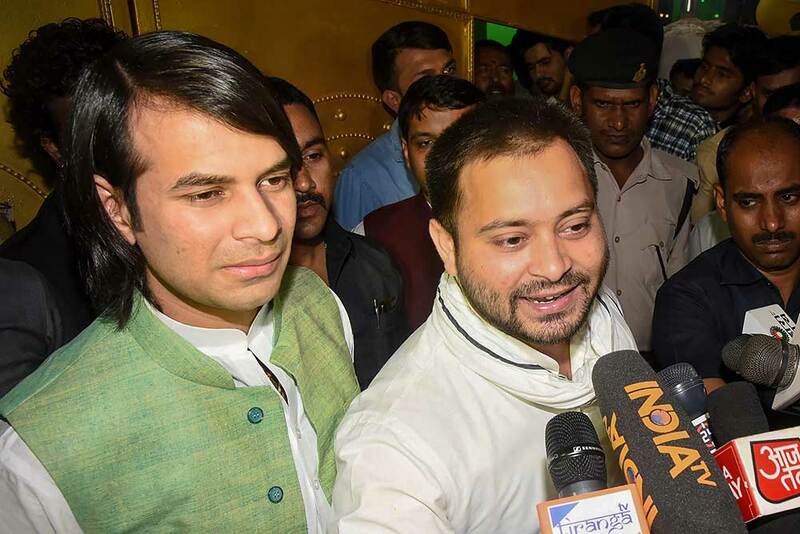 RJD leader Tejashwi Yadav addresses the media as his brother and party MLA Tej Pratap looks on, in Patna. 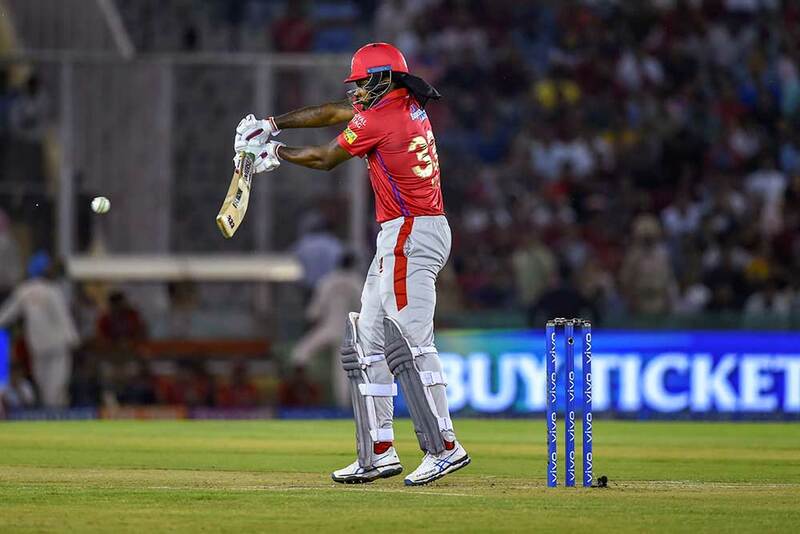 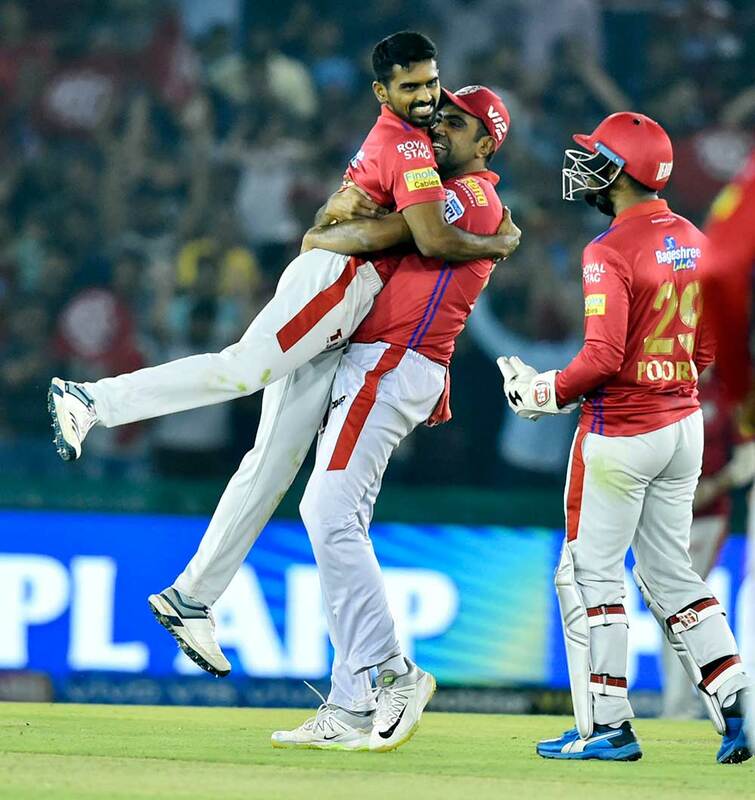 Kings XI Punjab player celebrates after the dismissal Ashton turner of Rajasthan Royals during the Indian Premier League (IPL T20 2019) cricket match between Kings XI Punjab V/S Rajasthan Royals at I. 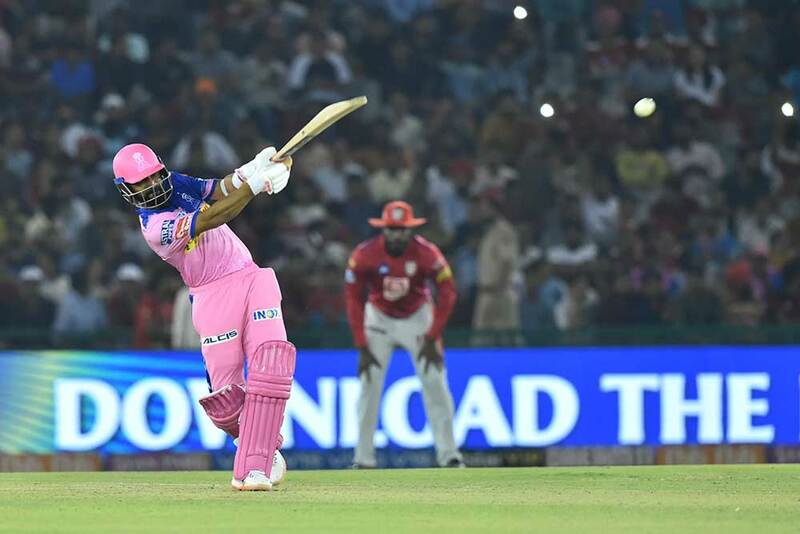 S Bindra Stadium Mohali.